Hostettler, Neuhoff & Davis, LLC / Craighead Development, LLC This is granite countertop material, with sandblasted logos and gilded with 23K gold. St. Henry Church & School This sign face is of Corian countertop material, routed and gilded with 23K gold. The mass schedule is in vinyl so it can be changed if needed. The frame is custom-welded aluminum. 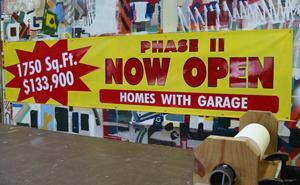 Vinyl Banners Vinyl banners – a cost-effective way to get a potential customer’s attention! 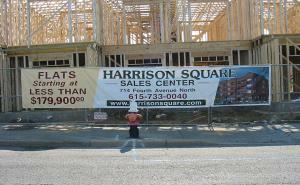 This is an economical 13-ounce banner that is best used attached to an exterior wall. 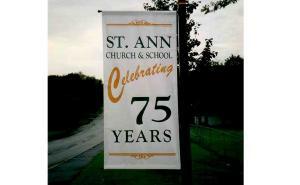 St. Ann Church & School One of several vinyl banners we did to help St. Ann Church and School celebrate 75 years. Detailed View of Gold Leaf Lettering This is Corian countertop material, routed and gilded with 23K gold. 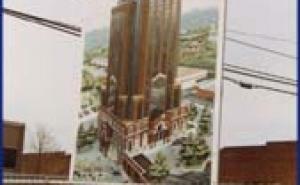 This was done for the Federal Courthouse in Nashville, TN. 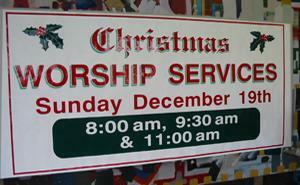 Christmas Banner Light weight, outdoor banner for Christmas services. 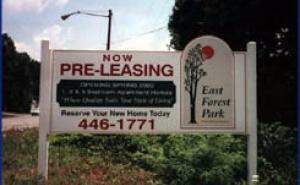 East Forest Park Apartments This ½” double-faced MDO sign was the first sign installed at the East Forest Park Apartment construction site. U.S. District Court – Jury Assembly Room This is an overall view of a sign we installed in the Federal Courthouse. It is Corian countertop material, routed and gilded with 23K gold. 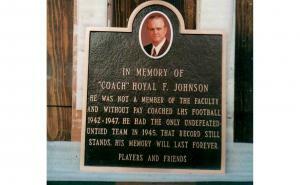 Coach Royal F. Johnson This is a cast bronze plaque which incorporates a porcelain-enameled photograph into the design. Park West Court This is another example of a 4-color digital print adhered to Omega-Board, which is exterior-grade plywood with a vinyl surface. Sales Banner A typical 14 ounce banner; hemmed and grommetted so as to be attached to the side of a building. 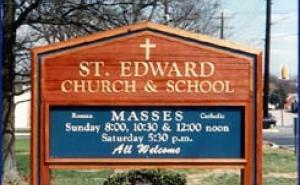 St. Edward Church & School The St. Edward sign is sandblasted redwood with 23K gold leaf letters. 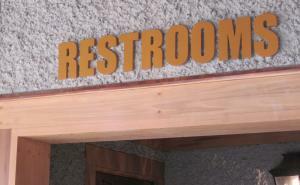 The framework of the sign is also redwood, with the Mass schedule applied to MDO plywood. 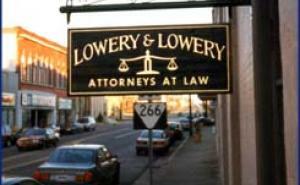 Lowery & Lowery, Attorneys at Law The Lowery & Lowery sign is sandblasted redwood, with 23K gold leaf letters and a painted enamel background. The sign is located just off the town square in Lebanon, Tennessee. 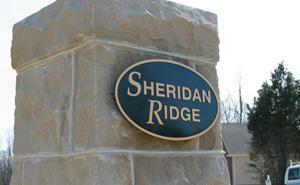 Bronze Plaque for Subdivision Long lasting, elegant look for subdivision sign on masonry column. 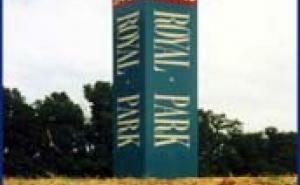 Royal Park Royal Park was a uniquely designed sign with graphics on all four sides, showing the future site of a business park. Keystone Center This is an example of a sharp-looking sign with a 4-color digital print. Ezell-Harding High School The school wanted a sign they could put up at home games, as well as away games, so we made a banner that is easy to roll up and transport. 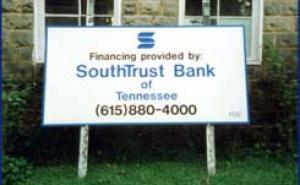 SouthTrust Bank of TN This is a 4x8 foot, half-inch thick, MDO plywood site sign for SouthTrust Bank. This is a standard sign for a construction project. Simple design, easy to read, and will help generate future business. HDU Mimics Bronze Plaque Several of these custom made signs with poplar wood stands were made for the Federal Courthouse here in Nashville. 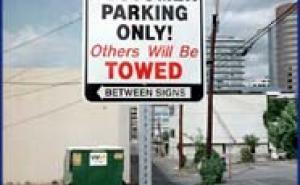 The signs themsleves are actually sand blasted HDU with gold paint lettering. 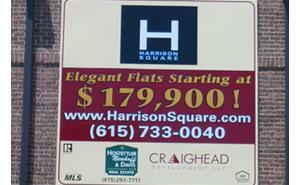 Harrison Square Lofts Heavy-weight 18-ounce vinyl banners are best used for larger applications where the banner will catch a lot of wind. 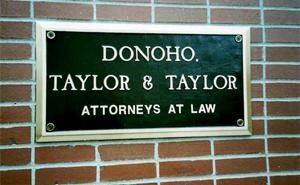 Donoho, Taylor and Taylor Attorneys at Law Bronze plaques are a great way to permanently identify a building or a professional place of business. 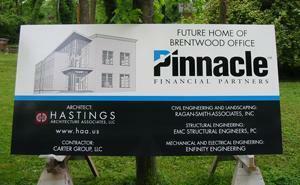 Future Home of Pinnacle This 4' x 8' site sign was for a new office in Brentwood, Tennessee. The Sign Shop printed the architectural rendering on its Summa thermal printer. 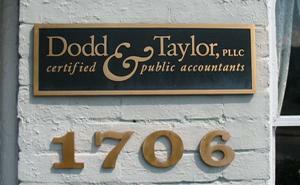 Dodd & Taylor, PLLC Bronze plaques give a lasting, elegant feel to a place of business. City Center A construction site sign made of ½” MDO plywood with a hand-painted pictorial done from an artist’s rendering. 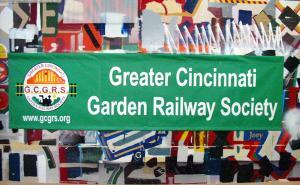 Greater Cincinnati Garden Railway Society We made this banner with a pole pocket in the top, so the customer could slide in a wooden dowel rod and carry it in a parade. Please click on image for a close up photo. Sandblasted HDU signs give simple designs a 3-dimensional quality that allows them to stand out above a 2-dimensional sign. The Biltmore Legacy These are flat cut-out aluminum letters, custom-painted and installed at The Winery Village on The Biltmore Estate in Asheville, NC. Sign in Ornamental Iron Frame This sign is one of many we did for First Presbyterian Church. 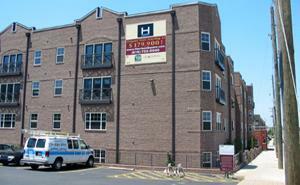 When they updated their facilities (a multi million dollar project) we were asked to do their exterior sign work. Another Ornamental Iron Framed Sign This sign went well with the building style in this historic area. U.S. District Court This is a great example of designing a sign to meet the customer's needs. 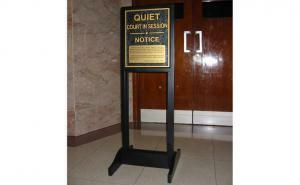 The Federal Courthouse needed signs to place outside the courtrooms when in session, so we made these sandblasted HDU signs, with a custom-designed stand. 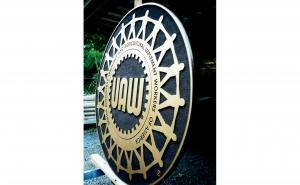 UAW Union Hall This sign is for the UAW Union Hall in Spring Hill, Tennessee. 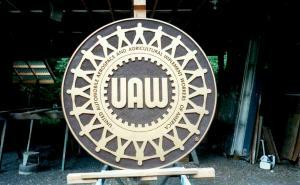 It is 66 inches in diameter, and is constructed of high density urethane (HDU) sign foam. It was meant to simulate a bronze plaque. This was achieved by using Liquid Gold and a dark brown enamel. East Forest Park Apartments Another sandblasted HDU sign for the East Forest Park Apartment Complex. 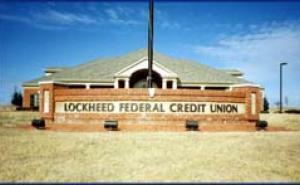 Lockheed Federal Credit Union These are cast aluminum letters attached to a masonry structure in Spring Hill, TN. Conway Court These are cast aluminum letters attached to a masonry wall at the entrance of a residential neighborhood. 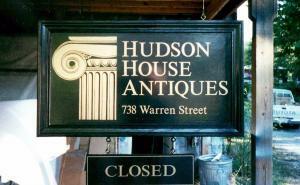 Hudson House Antiques This sign was fabricated for an out of state client who heard of us through the internet! 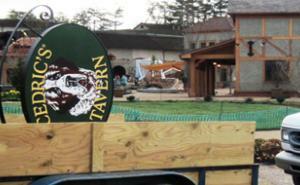 We custom built the frame for a very nice looking sign. Don't believe it with your own eyes. Bank of America The graphics are flat cut-out aluminum, mounted onto a substrate with a redwood frame. This sign was shipped to a Bank of America location in New York state. UAW Union Hall Another view of the UAW sign. 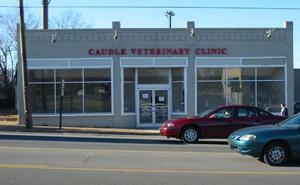 This shot shows the depth achieved by sandblasting HDU sign foam. 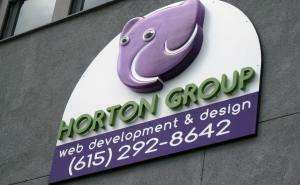 The Horton Group Carved HDU Sign Foam for The Horton Group of Nashville. Custom Built Sign for Law Offices The Sign Shop custom fabricated this sign and installed it on the side of the clients building near downtown Nashville. Hand Painted Custom Sign Custom sign for a client's personal use. 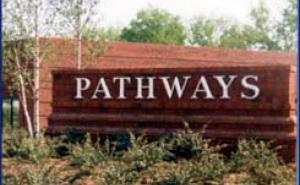 Pathways These are cast aluminum letters attached to a masonry structure in front of a business in Cool Springs, TN. Advanced Composites This is formed acrylic letters, attached to a substrate and installed on the building façade. Mooreland Title Co., LLC This is a sand-blasted HDU sign painted to imitate a real bronze plaque. This is an economical way to give a professional look. Inexpensive Plastic Letters These letters read well from a distance, yet being plastic are quite affordable. Nature’s Greenlife, LLC We took a customer’s logo and reproduced it with vinyl to apply to their office door. Advent Land Company, Inc. 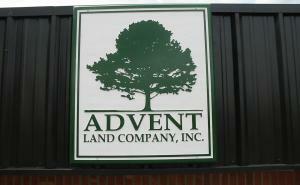 This is an example of a sign made from sandblasted HDU sign foam for Advent Land Company in the Franklin-Brentwood area. 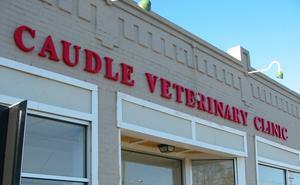 Closer View We installed these letters on the wall of this Veterinarian's office in Nashville. Aluminum Letters These letters are flat cut-out aluminum, mounted above an exterior doorway to identify the restrooms at The Winery Village on The Biltmore Estate. Sweep-All, Inc. We applied these clean, crisp vinyl graphics on this prototype machine. 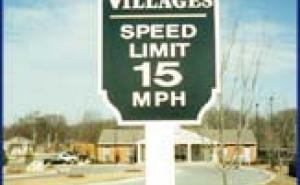 The Villages This speed limit sign has a custom shape and logo for an apartment complex in Spring Hill, TN. 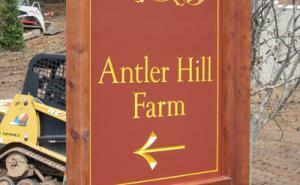 Antler Hill Farm Engraved redwood sign with painted graphics on a painted panel. The redwood posts and frame are stained clear to bring out the natural beauty of the wood. Church & School Parking Lot Sign Street sign for a parking lot. Custom made to flip up, allowing different messages at different times. Sign is on standard two pound steel post. 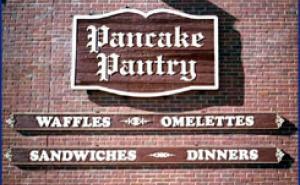 Pancake Pantry The Pancake Pantry is a Nashville Landmark in the Hillsboro Village area. 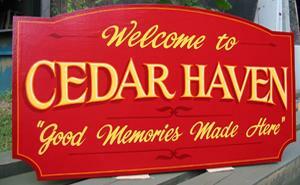 We re-worked their existing signs as well as built and installed this new 5'x 8' sandblasted redwood sign. Benington Homes A standard 4’ x 8’ site sign for a residential subdivision. 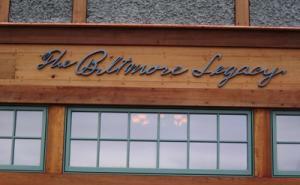 Legends Ridge An example of a For Sale sign with a lot number for large developments. 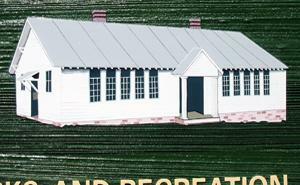 Close-Up of Pictorial on Sandblasted Sign Hand painted raised portion on a redwood sign for Smyrna Parks Department. Decorative Close-up This is a close-up view of a decorative street sign post with scroll brackets. This standard stop sign has an aluminum frame around it that really adds to the finished look. Quite often our commercial real estate customers like to have us build a stand with their sign, making it easy to stand in a parking lot and transfer to the next job. Harrison Square Downtown Nashville Please see next photo for detailed look at this 12' by 12' sign that we installed on the side of this downtown building. TN National Wildlife Refuge We made a couple dozen of these 3’ x 5’ sandblasted redwood signs and installed them at various points around this wildlife refuge located along the Tennessee River in west Tennessee. Word of Faith Christian Center A typical church van, straightforward and to-the-point. Hooper Machinery Co., Inc. This logo had to be redesigned to fit onto this truck door. 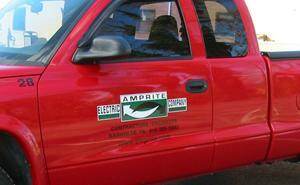 Vinyl Graphics on Truck Red Dodge Dakaota Pick-Up for Amprite Electric. 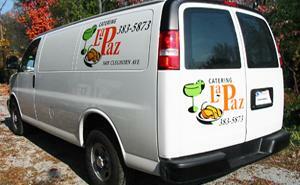 La Paz Van La Paz came to us with their logo. We helped the customer pick the right size and layout for their vehicle. Magowan’s Infinite Mirror Maze This is a great example of combining old technology with new. The background is sandblasted redwood, and the graphics are a 4-color digital print from the customer’s artwork. 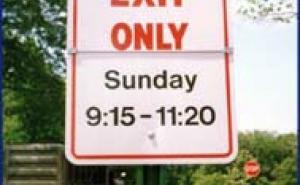 U.S. District Court Parking signs for Federal Courthouse on standard .080” aluminum. Blackstone Brewery and Restaurant Custom screen printed parking signs for Blackstone Brewery and Restaurant on standard .080” reflective aluminum with extra sturdy 1.75” square sign post. Rivergate Toyota Here we incorporate a customer-supplied logo along with other information on a vehicle door. Bank of America Sandblasted redwood directional signs with compatible corporate colors. Bank of America A sandblasted redwood sign matching corporate colors & logo. Decorative Street Sign Post This fluted post has a decorative base along with a ball cap and scroll brackets to hold the street signs. Morningside Development Corp. A standard 4’ x 8’ construction site sign. 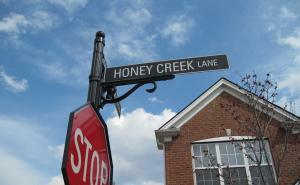 Bent Creek We developed this logo and made several signs for this residential subdivision in Nolensville, TN. Advent Land Company, Inc. Any logo can be digitized and applied to a vehicle. 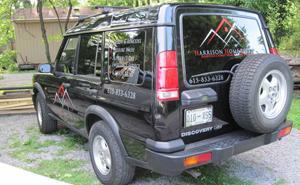 Rolling Advertisement Vehicle graphics for Harrison Home Services. Harrison Square 12' x 12' Close up of the 12' by 12' sign the The Sign Shop fabricated and installed on the side of this downtown building. The Sign Shop is a family run business, operating in Nashville since 1917. My grandfather went to work for Mr. Charlie Black immediately upon his return from active duty in World War I. He liked it, thrived at it and decided to buy the company prior to my fathers birth in 1923. My father grew up in the business and I started helping with small jobs around the shop about 1970. We've been designing , building and lettering custom signs of all types ever since. If you have an idea, no matter how vague, tell us about it. 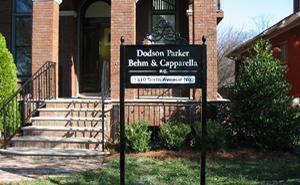 We will use our years of experience to turn your idea into an attractive, quality sign at a reasonable price. 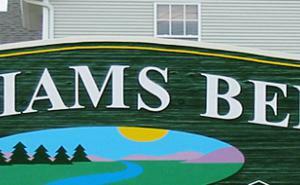 We specialize in exterior signs with that special artistic touch. We use a variety of materials and techniques in our designs, but really lean towards Redwood, Cypress and HDU (High Density Urethane Sign Foam) with 23 Karat Gold Leaf accents. 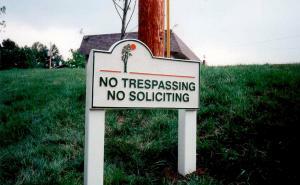 We've created signs and sent them throughout the United States and beyond. From Fisherman's Wharf in San Francisco to a private beach in The Bahamas. From a simple summer cottage in Maine to Chef Paula Dean's private lake in Georgia. To more world renowned locations, such as Winery Village at The Biltmore Estate in North Carolina or The Antique District in Hudson Valley, New York. Please have a look at our "Portfolio" section to see some of our past work. With a little time and effort we'll have a picture of your sign in there soon. 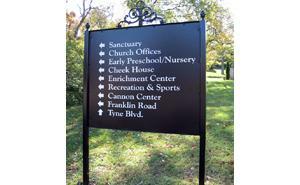 Visit our "Products" section to see some of our standard sign designs. 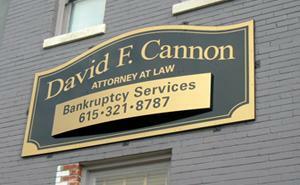 Please "Contact Us" regarding all of your non-illuminated sign needs. Please click on the above slideshow to see what we can do for you!